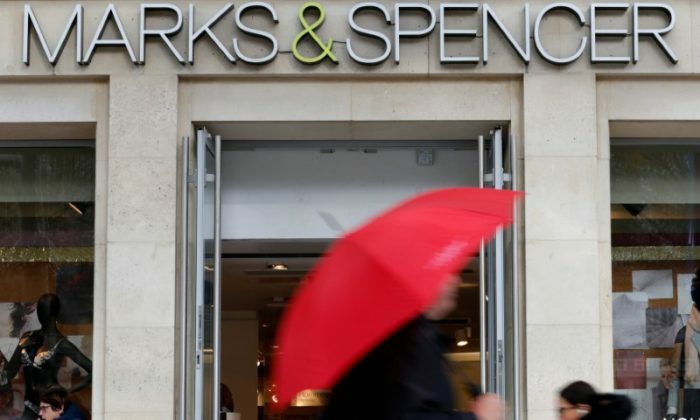 LONDON—British retailer Marks & Spencer said it plans to close a further 14 stores in its home market, speeding up a program to re-shape its store estate as more sales move online. M&S said in 2016 it would reposition about 25 percent of its clothing and home space through a combination of closures, downsizes, relocations and conversions to food-only stores. In November last year, three months after retail veteran Archie Norman joined as chairman, it said it was accelerating this program, saying it had seen better than expected levels of sales transfer from initial store closures. It said on Wednesday Jan. 31 that six UK stores would close by the end of April, while a further eight had been identified for closure. M&S said all staff from the six stores closing in April will move to nearby stores. It said 468 employees would be affected at the eight stores proposed for closure and will now enter a period of consultation. The eight stores earmarked for closure are in: Andover, Basildon, Bridlington, Denton, Falmouth, Fareham, Keighley and Stockport. Stores in Birkenhead, Bournemouth, Durham, Fforestfach, Putney and Redditch are to be closed by the end of April. M&S, which earlier this month disappointed investors with its Christmas trading update, has also reassessed and reduced the opening program for its “Simply Food” stores, and now only plans to open a total of 36 owned or franchised stores over the next six months. It said these stores would create 1,200 jobs. Guidance in November was for about 80 Simply Food store openings in 2017-18, around 10 fewer than previously planned. “We believe these changes are vital for the future of M&S and we will continue to accelerate the program,” said director of retail Sacha Berendji. Shares in M&S, down 10 percent over the last year, were down 1.1 percent at 1024 GMT. M&S currently has 1,025 stores in the UK—302 clothing, home and food, 684 food-only and 39 outlets.